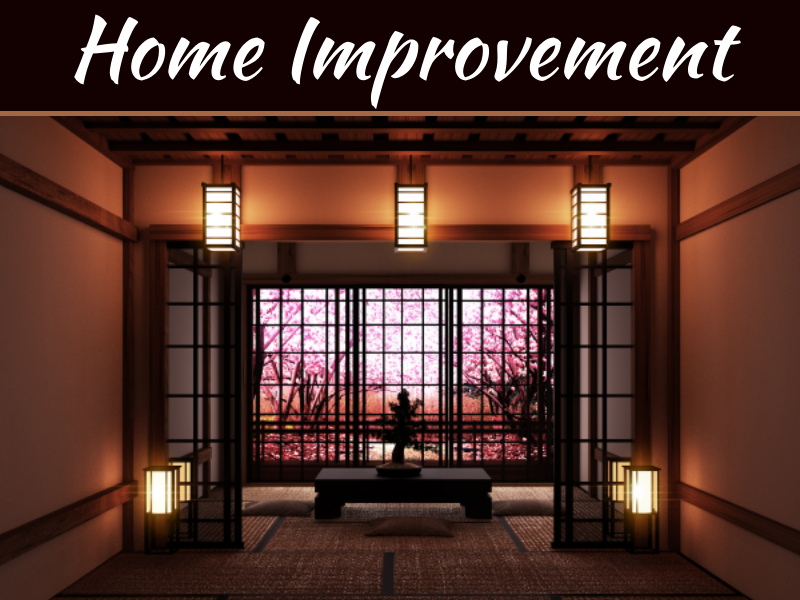 In terms of feng shui, the main goal with decorating the living room is to create a space that is not only practical and beautiful, but also one that emits a happy, clean, fresh and strong energy. To design a beautiful living room that is also practical includes: a desire to decorate, a bit of planning and some persistence. Ideally, you’ll want to start from a clean slate, a new home to bring in new energy, like Vision One Homes, for example. Here are 4 easy feng shui living room decorating tips that will help infuse positive energy all over your home. One of the main ways to introduce feng shui in your living room is by ensuring that it gets as much good air and natural light as possible. Natural light and air are the foundation of excellent feng shui energy, and you can achieve this in several ways. For example, if your room has small windows, use mirrors to bring in more natural light and use layering for your indoor lighting. Layered lighting means creating several levels of lighting. In addition to adding a ceiling fixture, you can also add several table lamps or a floor lamp, for example. 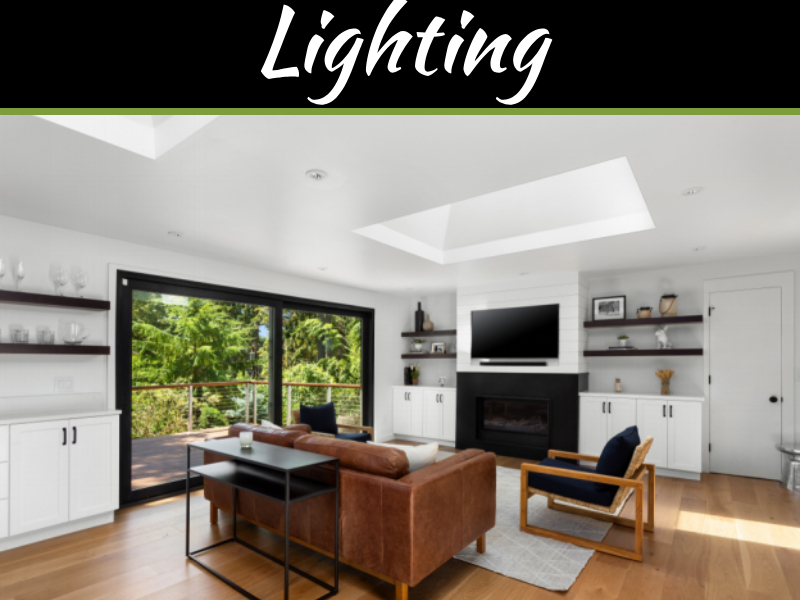 Limiting your living room lighting option only to the ceiling or a floor lamp creates potentially depressing feng shui energy. Fresh air has great health benefits, so apart from opening the windows, you can also get a quality aromatherapy diffuser and quality pure essential oils renowned for their healing powers. Poor lighting and stale air are the greatest enemies to good feng shui, so make a positive feng shui vibe through quality air and light. 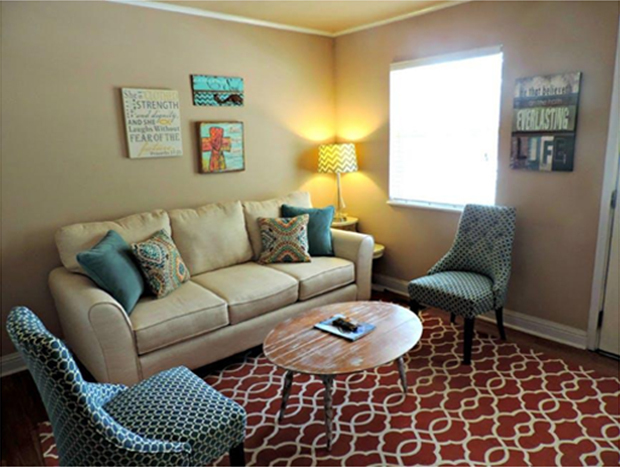 One of the most emphasized feng shui decorating tips for the living room includes the correct color scheme. Color has a big impact on your mood and it is an important element for proper feng shui since every color is an expression of a specific element in feng shui. 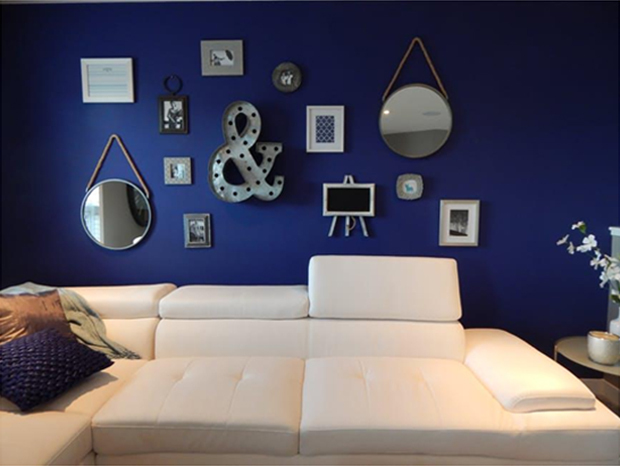 Choosing the right feng shui décor scheme for a living room requires some work though. The best place to start is by creating a feng shui energy map of your home. Read on for more. 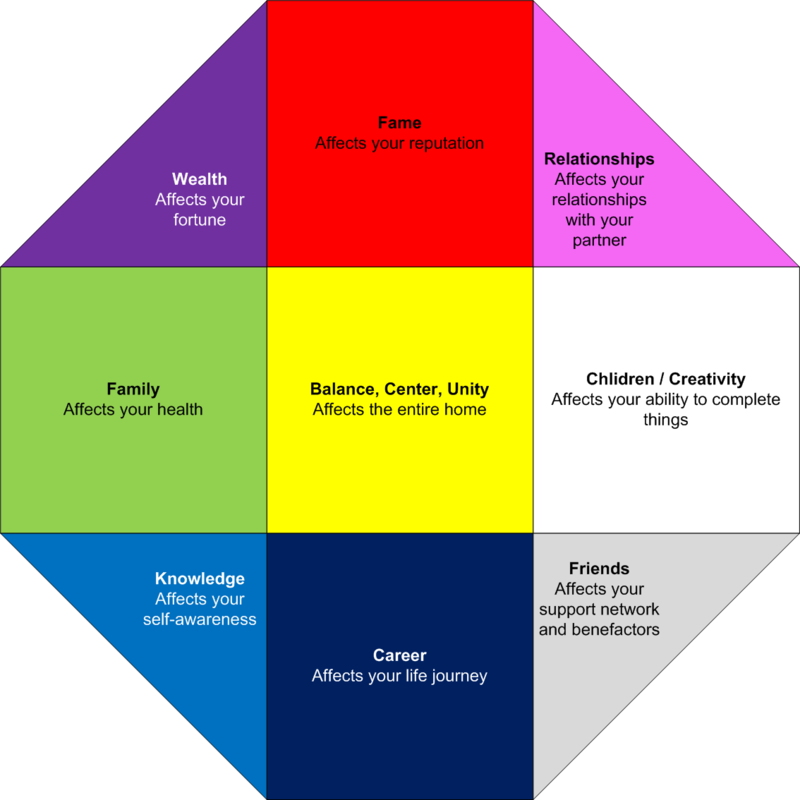 A bagua is your home’s feng shui energy map. 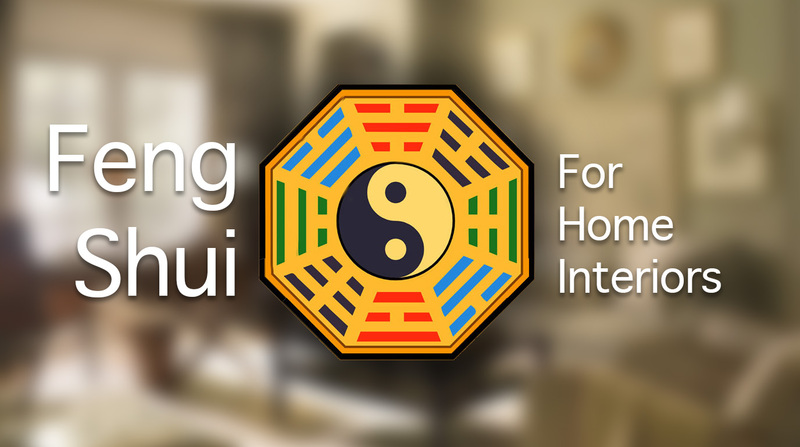 To achieve the best feng shui energy in your living room area, you should first define your home’s bagua. 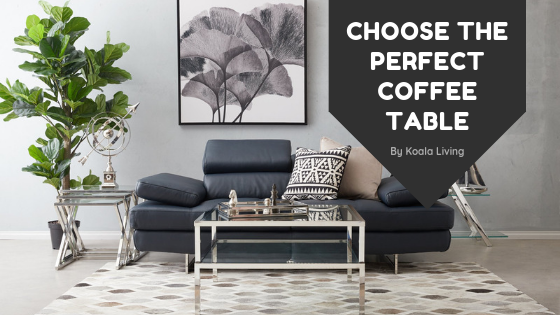 Once you have all the details, it becomes much easier to choose the best colors, materials and shapes according to the complementing feng shui element. For example, if the living room lies to the South of the bagua area, then you can decorate it using Wood and Fire feng shui element colors. This means colors like deep brown, green, purple, yellow, orange and red will create excellent energy for a South facing living room. Good feng shui is more than just about adding the right shapes and colors to your living room. Feng shui is about creating harmony, balance and health, and all 5 feng shui elements have a role to play in making your environment happy. Therefore, good feng shui in the living room is dependent on a subtle play on shapes and colors. 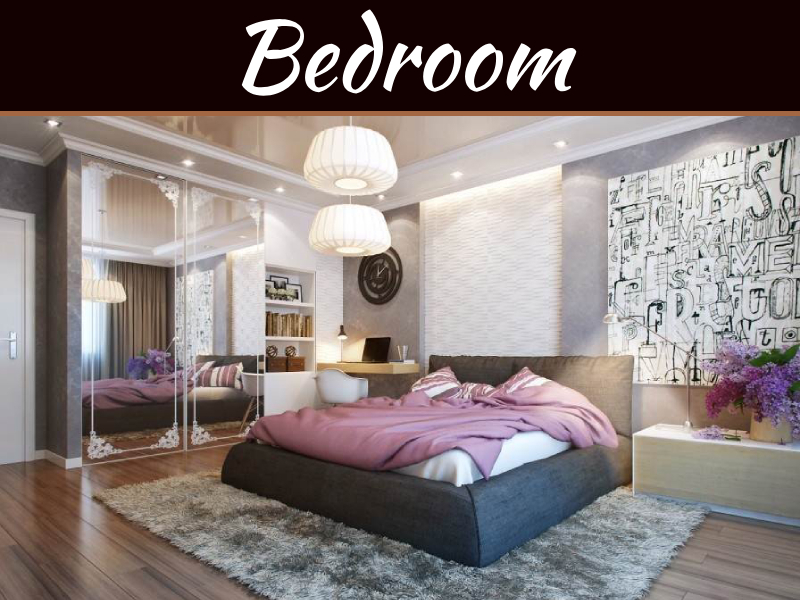 For example, a mirror – a water feng shui element – in the south bagua area – a fire feng shui element – creates a great balance when you do not want to make it the focal point.